Versatile and strong, the little pouch will make your product sell! Give your herb or edible food items a wholesome and crafty look with these amazing Kraft barrier bags. A popular option due to its organic look and feel, this bag provides both a quality flexible packaging feel and great barrier properties. Bio degradable paper exterior, natural foil interior for great barrier. Need Printed Kraft Mylar 1/4 oz marijuana packaging? 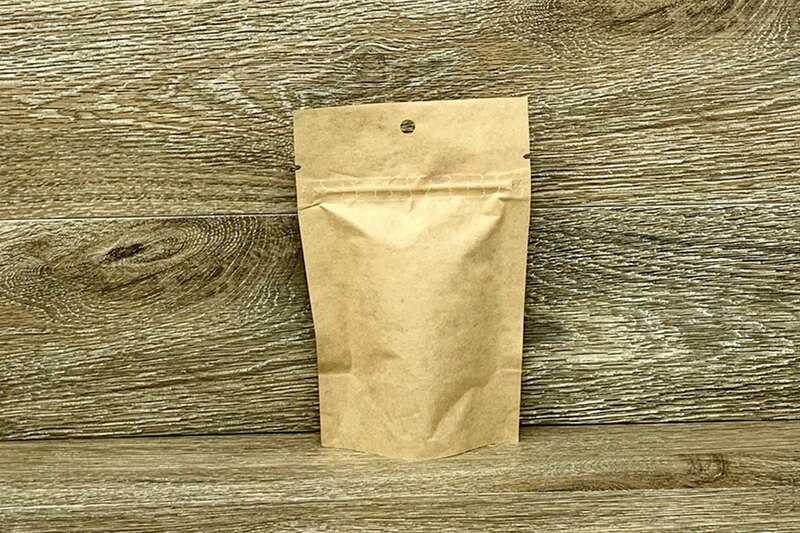 ¼ oz pouch bags are a popular and versatile size. 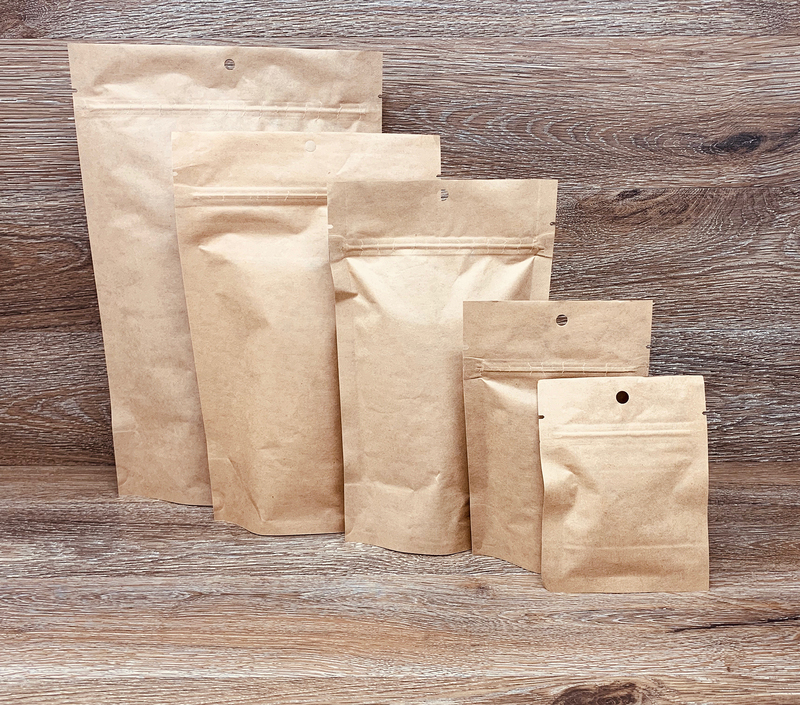 Printing these mylar stand up pouch bags will save you labor costs from hand-labeling and the more professional appearance will help sell more cannabis with printed Kraft Mylar 1/4 oz marijuana packaging. 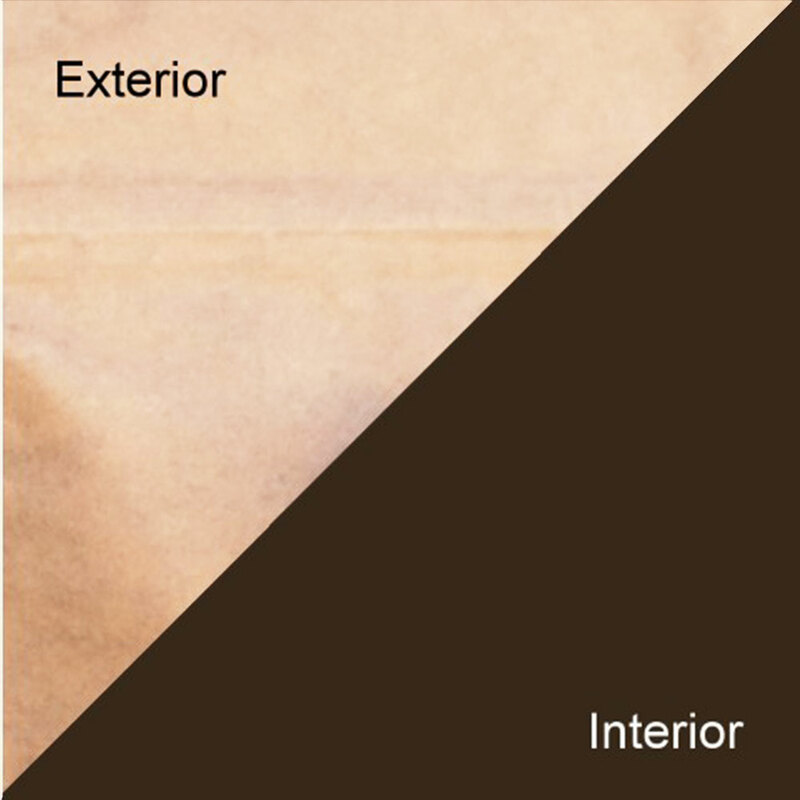 We offer both plate and digital printing on these resealable ziplock mylar bags. Kraft Mylar 1/4 oz marijuana packaging can be made in both a child resistant (CR) or standard configuration. This is the perfect size for those looking to hold ¼ oz of flower or a multiple doses of edibles. Smell proof bags with digital printing where you can print with very low setup fees, and super-fast turnaround time of just 4 weeks. The cost of Kraft Mylar 1/4 oz mylar pouch marijuana packaging (4x6x2.5) resealable ziplock bags is dependent on a few factors. So, to get an accurate quote just give us a call at 626-376-9836 or contact us. Do you offer this Kraft Mylar 1/4 oz marijuana packaging with a child resistant zipper? We offer a selection of stock child resistant bags, as well as customized child resistant Kraft Mylar 1/4 oz marijuana packaging. Do you offer samples of Kraft Mylar 1/4 oz marijuana packaging?